Froggy: Why did the scientist take out his doorbell? Cheeku: He wanted to win the no-bell prize! 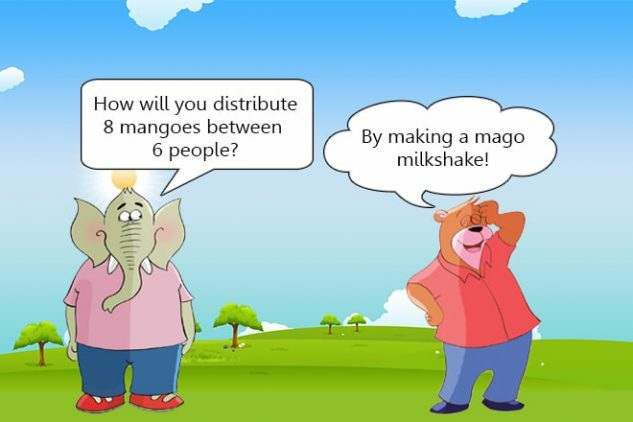 Jumbo: How will you distribute 8 mangoes between 6 peopel? Browny Bear: By making a mango milkshake!